So what’s the flavour of macaron n°2? Suspense is building up, becoming almost unbearable. Ah, don’t worry, I’ll put you out of your misery. It’s cranberry! (don’t pretend it wasn’t exciting). For the recipe, just head over to the 1st of December here. 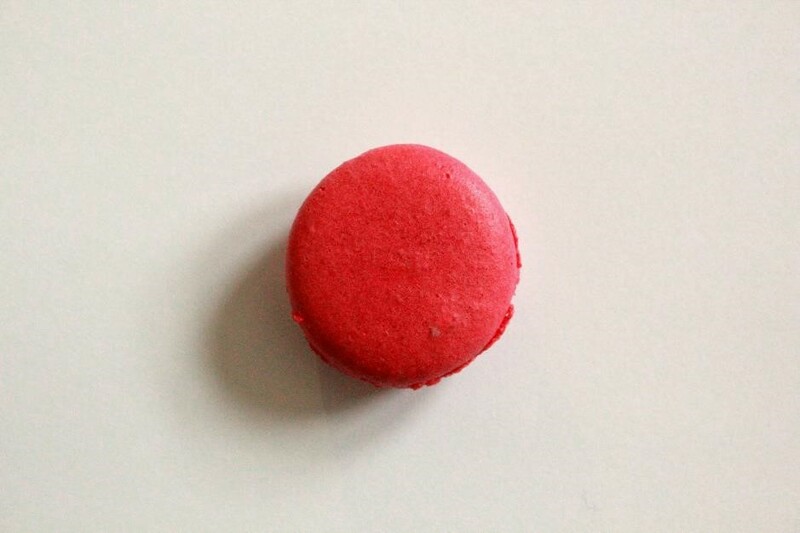 For these ones you just need to make plain almond macaron shells and add a bit of red food colouring. For the filling, you can make your own cranberry jam but I’ve been a bit lazy and used one that I bought.